Love and loyalty made them sisters. Secrets could still destroy them. 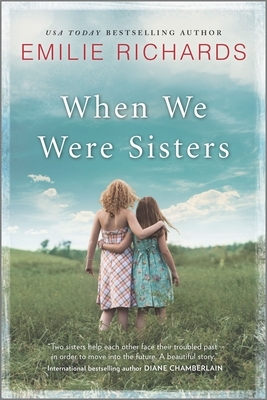 As children in foster care, Cecilia and Robin vowed they would be the sisters each had never had. Now superstar singer-songwriter Cecilia lives life on the edge, but when Robin is nearly killed in an accident, Cecilia drops everything to be with her. Robin set aside her career as a successful photojournalist to create the loving family she always yearned for. But gazing through a wide-angle lens at both past and future, she sees that her marriage is disintegrating. Her attorney husband is rarely home. She and the children need Kris's love and attention, but does Kris need them? When Cecilia asks Robin to be the still photographer for a documentary on foster care, Robin agrees, even though Kris will be forced to take charge for the months she's away. She gambles that he'll prove to them both that their children--and their marriage--are a priority in his life. Cecilia herself needs more than time with her sister. A lifetime of lies has finally caught up with her. She wants a chance to tell the real story of their childhood and free herself from the nightmares that still haunt her. As the documentary unfolds, memories will be tested and the meaning of family redefined, but the love two young girls forged into bonds of sisterhood will help them move forward as the women they were always meant to be.